WAY TOO MANY COMIC BOOKS!!!!! Like many people there comes a time in collecting, where you realize that you just don’t have any more room for your collection. Well this just happened to me, and instead of freaking out and trying to find eve n more places to store my comic collection I did the next best thing and decided to build a new piece of furniture. Then I could store all my comics in one localized place. I started out in a program called AutoCAD. I hadn’t used this program in a long time but luckily it was very easy to get the hang of and soon I was drawing up revision after revision of the cabinet design. 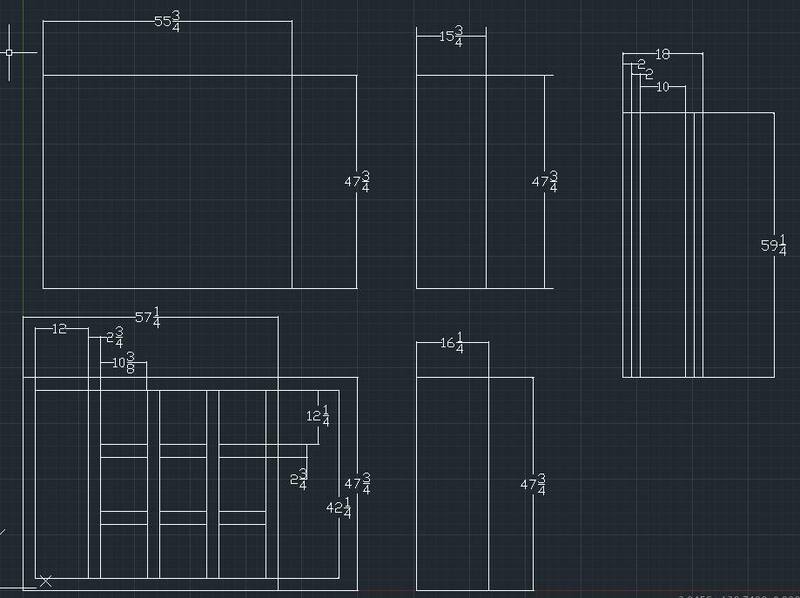 Now that I have finalized the design for the cabinet, and have all the dimensions of the piece, I can go lumber shopping. 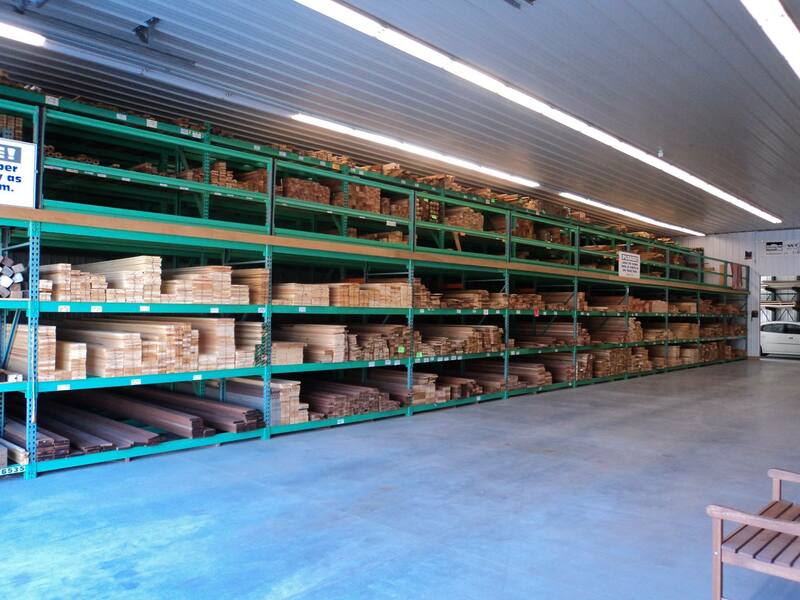 I went to the Woodery Lumber Co. in Lunenburg MA, wow do the people who own this place know a lot about wood. A little tip: when you are going to a lumberyard make sure to have a cut list with you, it will make everyone’s life a lot easier. 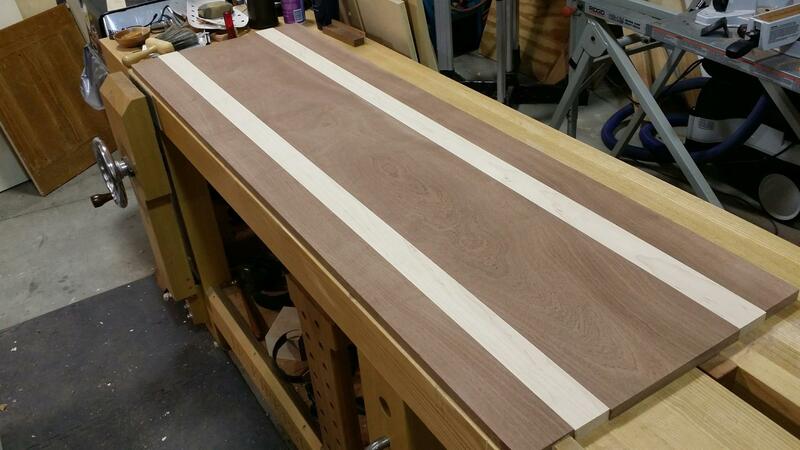 I decided on Sapele, a native tropical tree in Africa, for the top and drawer fronts, hard Maple for the front of the cabinet and a combination of the two in a pattern on the top. For the sides, bottom, back and drawers I went with Hickory plywood. Now it’s time to build all the drawers to house the comics. Many people do this step last because by doing it first you have to build the frame around the drawers instead of the opposite way. I ran into some luck being able to use my father’s friend Jim Kirkpatrick’s wood shop. Jim also provided a lot of insight and help with this project. The drawers were made from ¾ inch Hickory plywood and put together using a miter-lock joint and some wood glue. This is an extremely strong joint to hold the weight of the comic books. Let’s start working on the cabinet’s front face. The face was constructed of fourteen pieces of hard maple that were pocket holed and screwed together. The face was built a little bit oversized so that we could flush trim the face to match the side panels of the cabinet. Putting together the rest of the cabinets frame was the next step in the puzzle. This is where owning some specialty tools can make life a lot easier and accelerate the build time immensely. Luckily Jim had built a few cabinets before and knew all the tricks and tips. We cut out all the sides we needed and built the outer shell of the cabinet using a Festool domino (like a biscuit joint) to align all the sides and to keep everything square. And presto the frame is built and ready for detail work, my favorite aspect of woodworking, but the most time-consuming. But first there are a few more steps that need to be completed before finish work can be done. The top of the cabinet was made of five pieces of wood; three pieces of Sapele wood and two of Maple. In the picture you will notice that there is a triangle drawn on the top this is so the grain stays running in the same direction when we piece together the top. 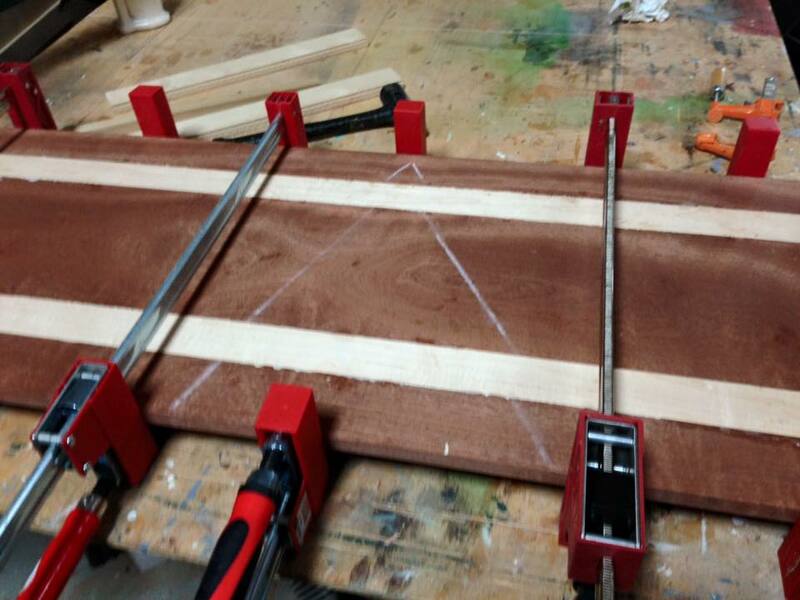 When all the pieces were aligned and glued we clamped the top to stay square and level. Once the glue dried sanding was done up to 180 grit and the top was cut to size. Later the edges were rounded for aesthetic reasons. The drawer fronts also followed this process and were ready for finishing. Finishing the pieces entailed filling any deep marks, and sanding, lots and lots of sanding. With all the pieces sanded it was time to put a sealer on and then add the finish. 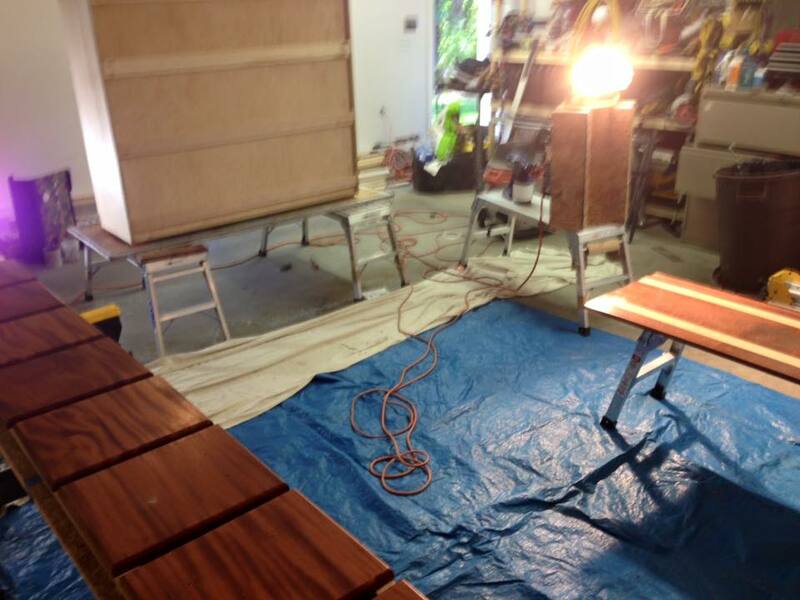 I needed to convert my garage into a spray booth to spray lacquer onto all the pieces. After seven coats of lacquer I did a final sand with extra fine steel wool to remove any bubbles that formed during the spraying process. Now it was time to put every thing together and start filling it with comic books.